Merkle (www.merkleinc.com), a leading technology-enabled, data-driven performance marketing agency, announced speakers for its inaugural European Performance Marketing Executive Summit, being held May 3–5 at Melia Barcelona Sky in Barcelona. The event will provide marketing leaders with the tools and knowledge to help their companies realize the potential of people-based marketing. People-based marketing creates enormous potential to simultaneously increase conversion and ROI while improving the overall customer experience. Attendees of Merkle’s Performance Marketing Executive Summit will learn about the technology, data infrastructure, and analytic approaches needed to make people-based marketing possible; how to use statistical insight to deliver personalized, optimized experience to each customer; and the high-level customer strategy that ties it together across the enterprise. Keynote speakers for the event include Suzanne Woolley, director of customer base management, EE; Dani Murray, VP, media, digital and marketing partnerships, Warner Brothers; Sebastien Szczepaniak, VP, global head of group sales and eBusiness, Nestlé; David Rowan, editor-in-chief of WIRED Magazine; Andy Day, Chief Data Officer, Sainsbury’s and TUI. In addition to the keynote addresses, the Summit will offer a number of joint presentations featuring Merkle thought leaders, together with industry insiders from world-class brands such as Dell, Google, and RBS. 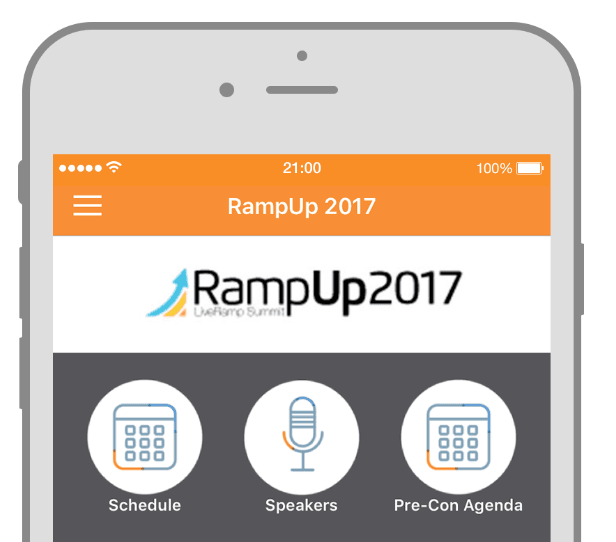 Skydeo is attending LiveRamp’s RampUp 2017 in San Francisco March 6 & 7.